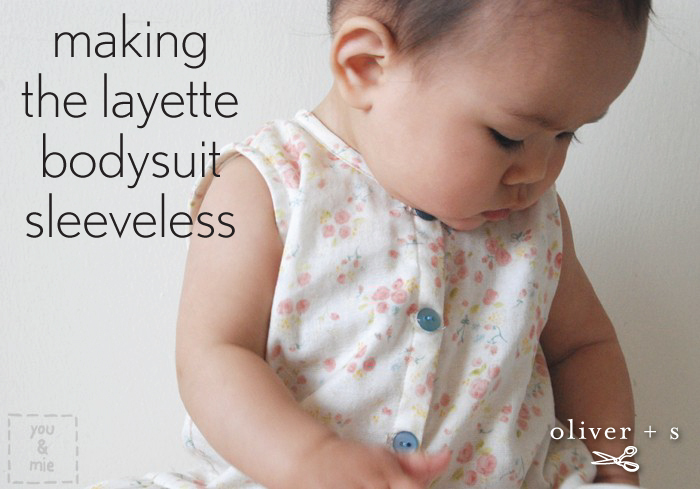 Today we welcome Cherie with a tutorial on how to change the Lullaby Layette bodysuit (or any bodice pattern) into a sleeveless version using bias tape. Great to have you here, Cherie! Hi! I’m Cherie from you & mie and I’m so excited to be here today! I’m a big fan of Oliver + S patterns and I blog about them all the time, but this is my first time here on the Oliver + S blog! 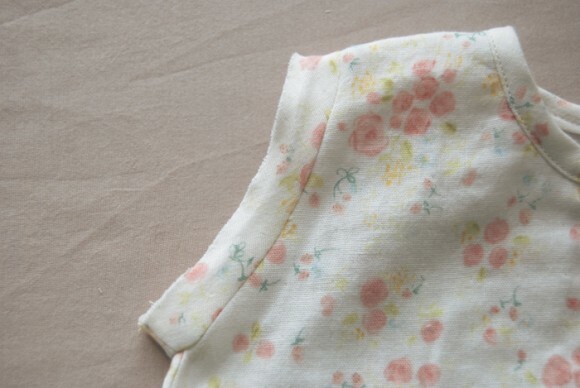 I’m going to show you how to modify a sleeved pattern to a sleeveless version and finish the armholes with bias tape. 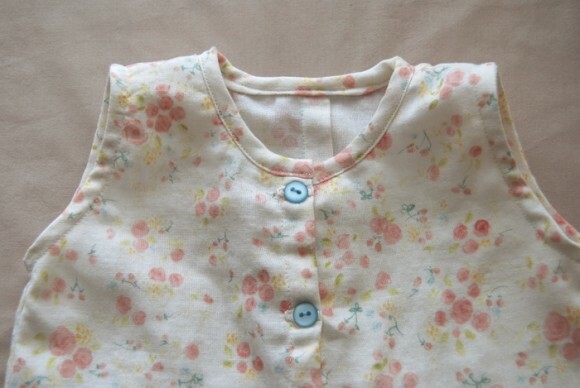 I am using the Lullaby Layette Shirt pattern (View B) in this example, but you can do this with pretty much any pattern! The first step is to reduce the width of your pattern at the shoulder. 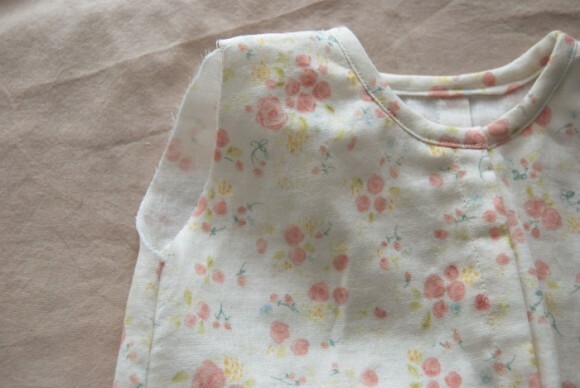 Patterns that are meant to have sleeves extend to the tip of the shoulder. A sleeveless top generally has narrower straps. The amount you want to take off the shoulder will be determined by personal preference. 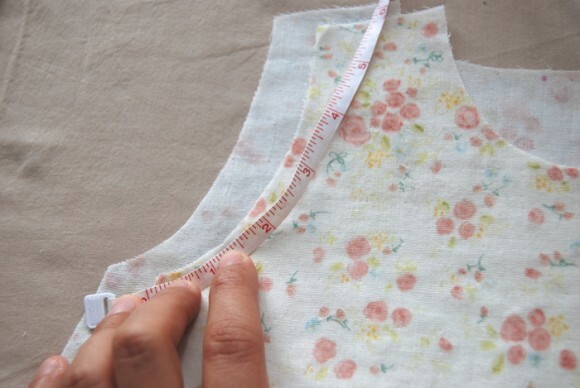 Just keep in mind that you’ll lose another 3/8 inch (1cm) when you finish your armhole. I reduced the width of my 3-6 month size shirt pattern by 3/4 inch from the outside edge of the pattern (shoulder tip, not neckline). From the shoulder seam, draw a curved line to meet the existing curve. For the front of the shirt, I curved the line a bit more, for the back, I kept it slightly more straight. Cut your pattern on your newly drawn lines. 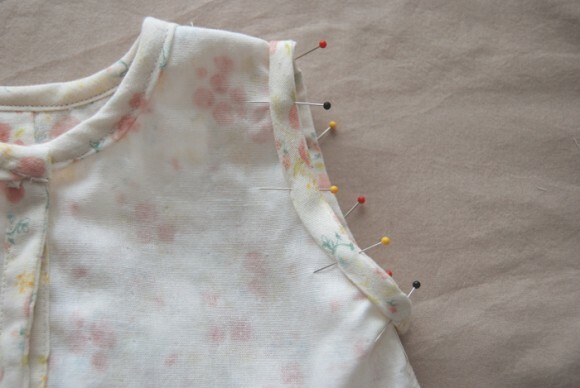 When you cut out your fabric, you’ll also need 2 strips of fabric cut on the bias to finish your armholes. The fabric will not show from the outside of your garment, so you can either use your main fabric, or something coordinating. Measure your armhole edges (front + back) and then add 3-4 inches to determine the length of your bias strips. The width is 1 inch. The pink arrows show the grain of the fabric. I’ll refer to these as “binding” from now on. 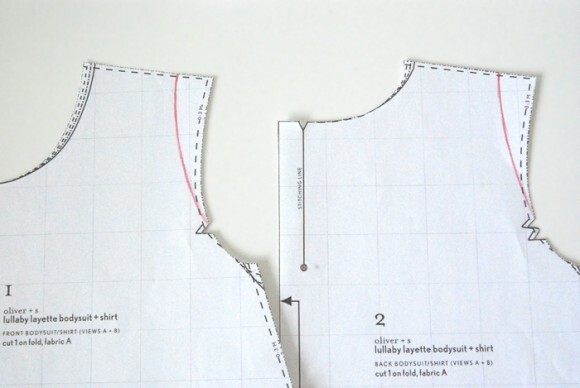 Follow your pattern to construct your top to the point where you have sewn the shoulder seams and the side seams together. 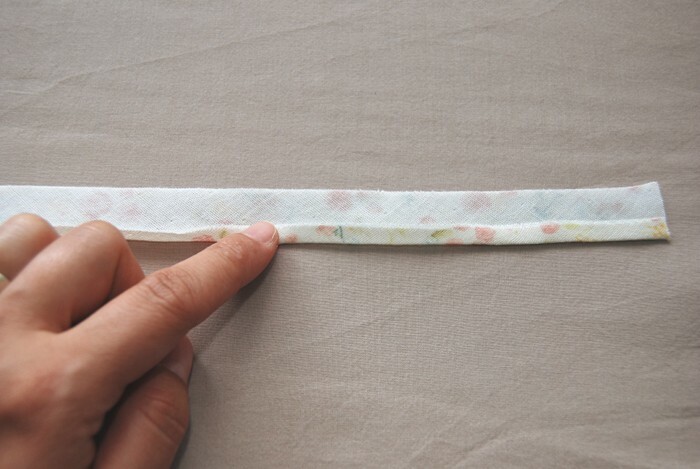 Fold and press your binding 1/4 inch towards the wrong side along the long edge. Repeat with other strip. 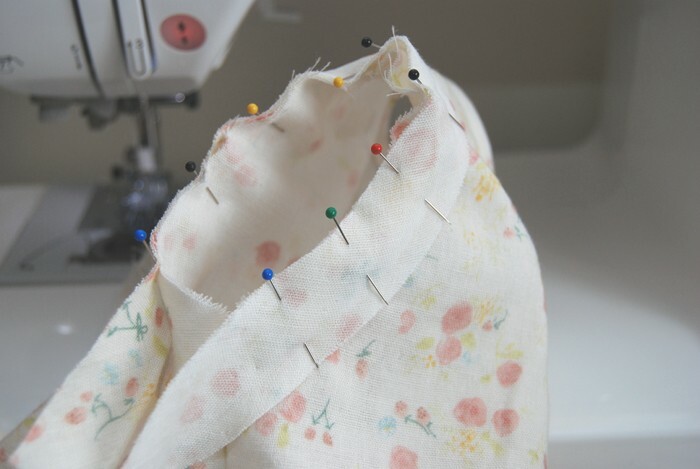 With your garment right side out, start pinning the raw (unfolded) edge of your binding to the armhole, right sides together. 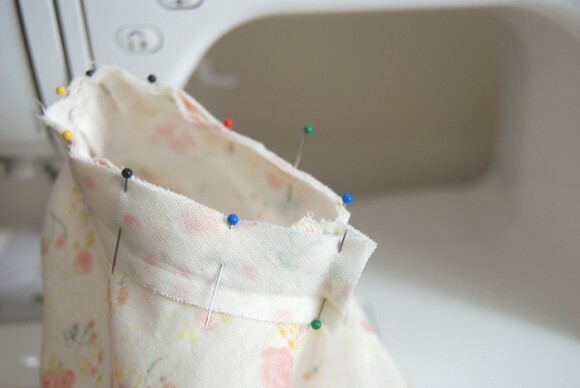 Start at the side seam and leave at least an inch of the binding strip extending past the side seam as you start pinning. Continue to pin all the way around the armhole. 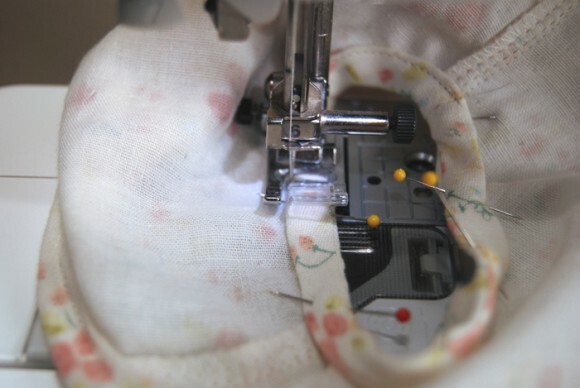 Make a small mark on the binding where it meets the side seam. Do the same on the other side of the binding. 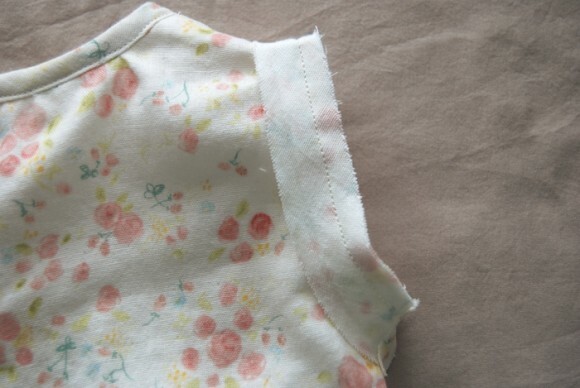 This is where you’ll want to sew the two ends together so they will meet along the side seam. 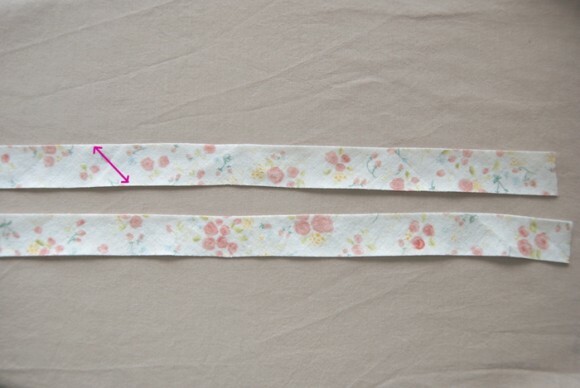 Pull the bias tape away from the garment (you may need to unpin a few inches) and sew the bias tape, wrong sides together, at the marks that you made. 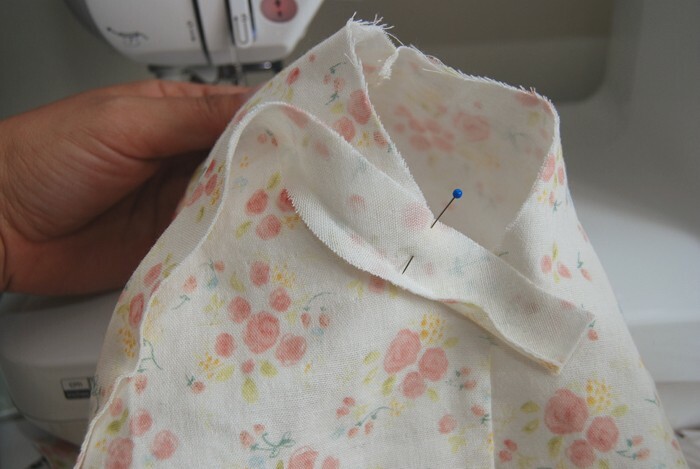 Trim excess fabric, press open and pin to the armhole at the side seam. Sew all the way around the armhole 3/8 inch (1 cm) from the edge. Press the binding away from the shirt. Flip your garment inside out. Refold your binding along the previously pressed 1/4 inch fold then again along the seam. This will flip the binding completely to the inside of the garment and enclose the raw edge. 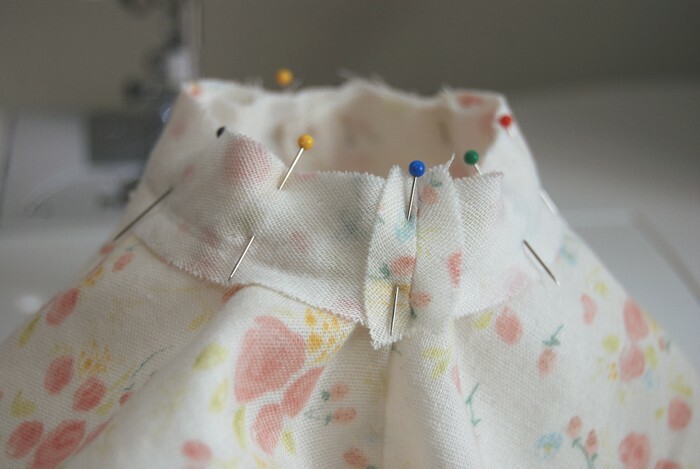 Pin all the way around the armhole. Machine stitch around the armhole close to the folded edge. Or you can hand stitch it, which will make it less visible from the right side of the shirt. 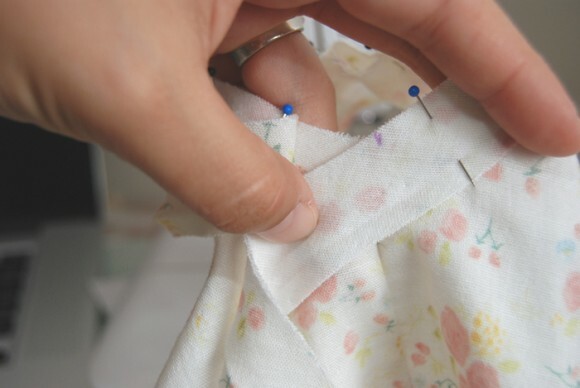 Repeat the steps to attach binding to the other armhole. Give it one more good press, and you’re done! I love making sleeveless tops for my kids and myself, especially as the warmer spring and summer months hit. You can use this method to finish any top pattern! 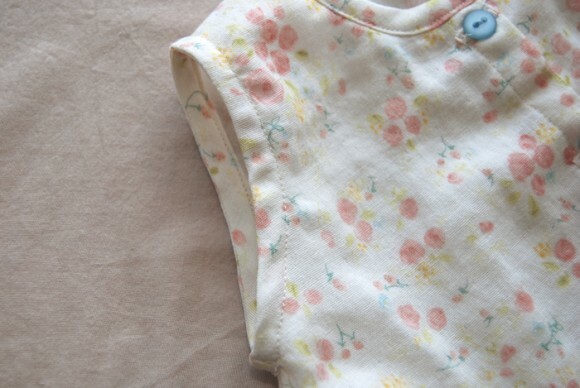 For this post, I made another Lullaby Layette Shirt for my daughter, but this time I shortened the shirt and added a gathered skirt for a sweet spring dress. You can check out more details on my blog here. Thanks for having me, Oliver + S! I sew the bias tape or strip on the arm holes and neck area to the inside first so you can top stitch from the right side leaving a softer edge next to the babies skin. It prevents being bulky and can be finished neater on the outside. Hope this helps, the result is really sweet, I like the little flounce. Thanks for having me here to share this tutorial, Oliver + S team! And Sharon – Yes! That’s a fantastic suggestion. I’ve definitely seen it done that way – I think Liesl recommends that too. The biggest difference being that with one method, the bias will be visible from the outside, and with the other, it will be tucked inside the garment. So totally a preference of comfort and style! I use both methods at different times, depends on what result I am looking for. Thanks for the tute, and gorgeous baby piccies. Thanks Cherie for this! 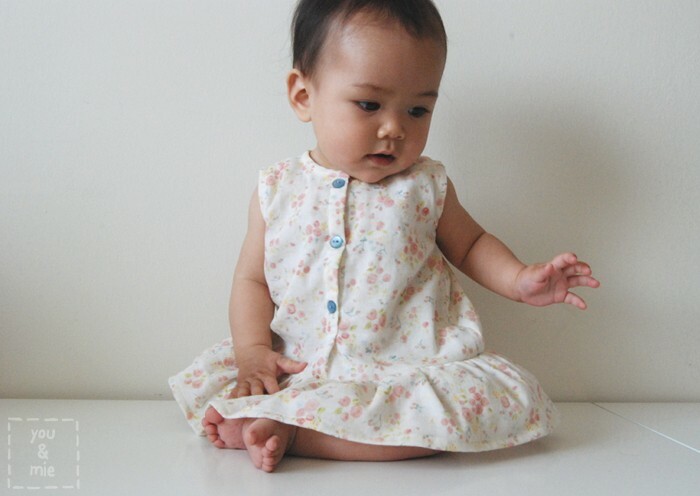 I’ve wanted to make the apple picking dress sleeveless and now I can! Much Love to you, thanks for your contribution to the sewing blog land!